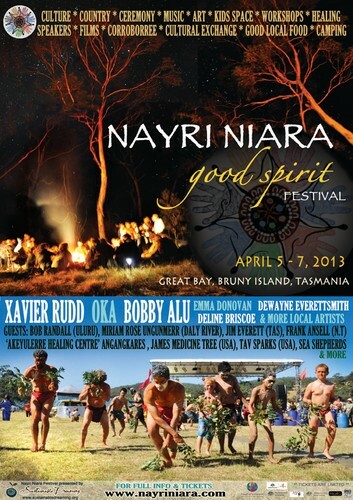 The Nayri Niara (Good Spirit) Festival is a three-day gathering of music, ceremony, knowledge sharing and the arts, held in a bushland setting overlooking the tranquil Great Bay of Bruny Island, Tasmania (Lunawanna alonnah) on 5 – 7 April, 2013. The Festival explores and promotes the cultural diversity, innovation and creativity of this stunning remote island of and its people. 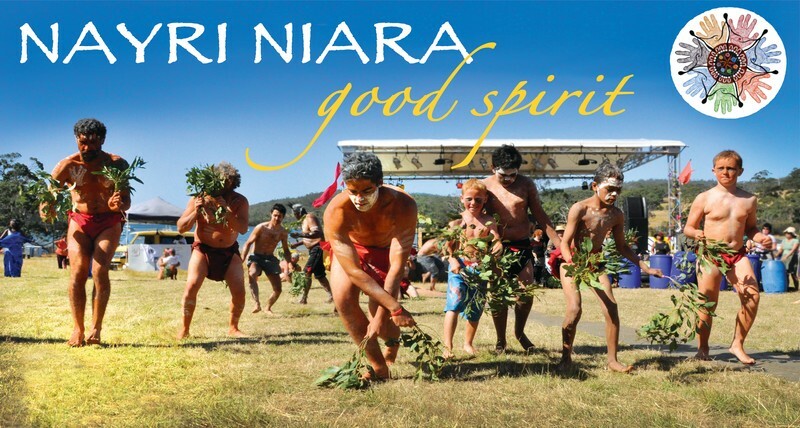 Hosting an amazing array of musicians, dancers, healers and teachers from across the globe, Including Xavier Rudd, OKA, Emma Donovan, the Ngangkerre Healers, Uncle Bob Randall as well as local custodians, elders, artists and musicians, the 2013 Nayri Niara good spirit Festival will create good music, good food, good yarns and good vibes.